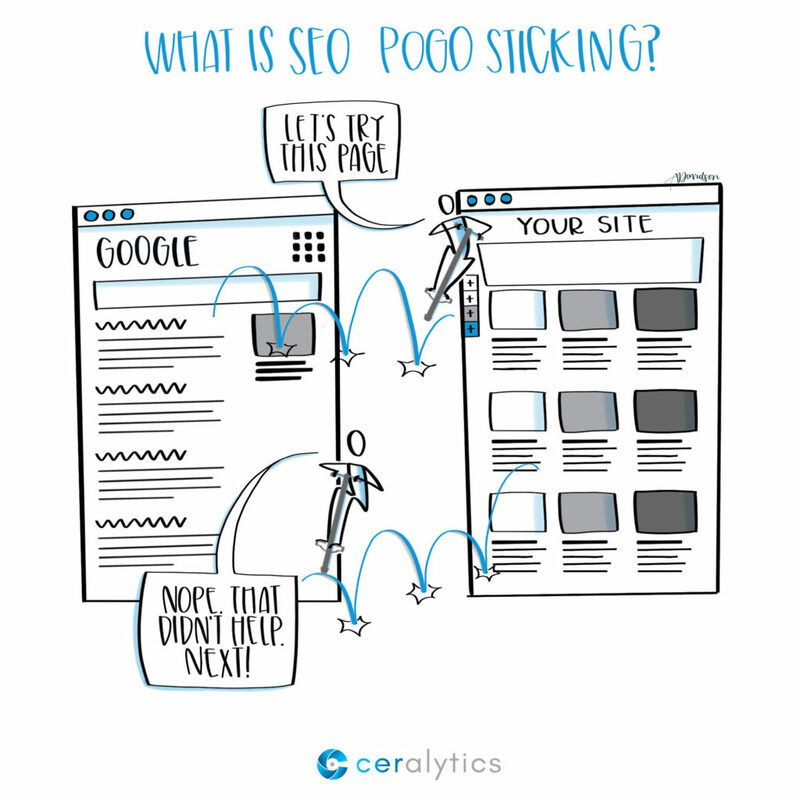 What is SEO Pogo Sticking? We’re confident that every single person has done the three-step process below. You type a query in Google. You click back to the results page because that first article didn’t solve your problem. Congratulations! You just pogo sticked! In the Good Old Days, once your content made it to page one in Google, you could take a breath and celebrate your success. By that time, all of the heavy lifting had been done to get your page the number of inbound links it needed to rank well. It was time to take a breath, relax, and move onto the next big piece of content. Then Google decided to get smarter. So now we have to work harder. Part of what Google has been working on is refining how well its results actually help people find what they need. In its quest to do that, Google has created a new algorithm called Rank Brain. Rank Brain focuses on how searchers actually use Google’s search engine results page (SERP) for a query. And one very important component of Rank Brain is the concept of pogo sticking. So what does pogo sticking tell Google? After you do a search, you’re most likely going to click on one of the links in page one of your results (70% of users click a page one result). Once you click, you get to a page that doesn’t exactly answer the problem you had. In a split second, you hit the back button, and you’re back on the search results page. While you quickly scan the other results to see which one to click next, you’ve already sent a very powerful message to Google: The article you clicked before didn’t solve your problem. That’s why you pogo sticked back to the search results page. You find another result and click on it. Success! This one goes into the level of detail you wanted to know. You read the page, and then you’re on your way. Google knows you didn’t come back to the search results page after the second article, so it assumes that the second article you clicked solved your problem. As a result, Google moves that first article that you pogo sticked down the list, and the second one up. And then it waits for someone else to do a similar search and the experiment gets run again. As more people get their problem solved by a piece of content, it will continue to move up in search results. On the flip side, those articles that people pogo stick frequently get moved down the list, until they fall out of favor. How do you keep your content from pogo sticking? Reaching page one of search results is no longer good enough. This is what’s dooming a lot of strictly SEO companies. They can initially get a piece of content to rank well via inbound links and onpage optimization, but if the content itself doesn’t fully solve the intent and problem of the end user, that content is going to fall back into oblivion rather quickly. Here are some keys to keep in mind to keep users from pogo sticking your site. Grab their attention right away. Take extra time crafting the opening lines of your content. They have to get the users’ attention and engage them with the rest of the post. Fully solve your audience’s query. Don’t leave questions unanswered, or only give a partial explanation of a concept. People are looking for the full solution. People don’t read huge blocks of text online. Give them quick hitting sentences and break long pieces of content with subheadings. Have a fast page load time. People hate to wait. If your page takes ten seconds to load, people are going to just leave. Don’t interfere with their reading. If you pop open a model that blocks the screen when someone is reading, you’re greedy. (Pop ups in the right rail of a blog are okay though…right?) Modals push people away from your content, and therefore away from your site. Go take a look at the content that drives the most organic search on your site. Is there anything on the page that would cause people to pogo stick from that content? Is the intro strong? Does the content fully solve the user’s problem? Is anything interfering with the user reading your content? Sometimes little changes to existing content can have a big impact on keeping people on your site. Other times, you may notice that your content doesn’t really solve the full issue. If that’s the case, it’s time to sit down and start rewriting. Also, check out our post over on Convince & Convert: A Dead Simple Way to Improve Your Search Rankings with Google Search Console.  It goes into more detail on what you should look for when optimizing your landing pages and search queries. 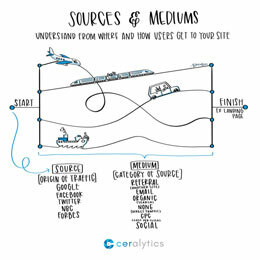 It helped Ceralytics increase our organic traffic by 323%! Each week we send out a micro-lesson in marketing and/or business. Our goal is NOTto give you best practices to go out and do what other people do. You can get that anywhere. Instead, our goal is to give you knowledge that you can apply to your own organization to make the best decisions possible. If you know anyone who you think would benefit from Sketchalytics, please feel free to share this with them so they can sign up.